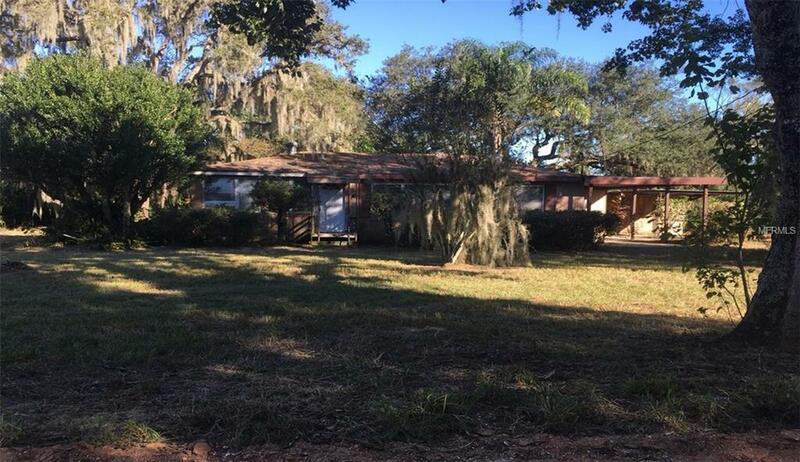 3 bedroom, 1 bath home on over an acre of land! Located on a dead end road. Spanning just over 1,200 square feet, this home offers a Florida Room, living room, formal dining room, and kitchen. Additional features include inside laundry room and 1 car carport. Make your appointment today! All or some of the following may apply to the closing of this property: (1) Pending status changed once seller signed contract is received by listing agent. (2) Mail away to Seller. (3) Majority are mail away to buyer and a courtesy closing may be scheduled through title company. A courtesy closing fee may be charged to buyer on HUD. (4) Keys are not released to buyers for closing until proof of funding and all buyer and seller documents have been received by Title Company.